For as long as I can remember, my mom has always made clover rolls for Thanksgiving. It seems like a tradition at this point. They’re pretty much expected, along with apple pie and some sort of pumpkin dish. 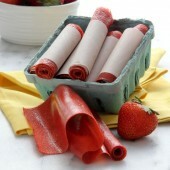 Now, obviously it isn’t anywhere near Thanksgiving but clover rolls are great for any dinner, holiday or not. I went on a search for a clover roll recipe to try ages ago and just yesterday got around to making them. Sometimes that’s just how it goes. This is a very quick and easy recipe that gives great results. Not hard at all and not too soft, just right. The three parts pull apart extremely easy when warm. This recipe is definitely a keeper, and a must try if you’re looking for a quick and tasty dinner roll to try. Especially after they have cooled down or you are eating on the second day, etc… I urge you to microwave for 20-30 seconds and generously slather the inside of each third with butter. Heaven. Yield: Yields roughly 15 rolls. In the bowl of a stand mixer, add yeast, sugar and warm milk. Stir to dissolve sugar. Add 1 cup flour, olive oil and salt. Mix until smooth. Continue adding 1 cup of flour at a time, mixing well. If dough is still sticky after 3 cups, add an additional 1/2 cup flour. Continue mixing until dough pulls away from the sides of the bowl. If still sticky, add a spoonful at a time until dough is pulling away from the bowl and no longer sticky. Gently shape into a ball, return to bowl. Cover with plastic and let rise in a warm location for 45-60 minutes. Preheat oven to 400 degrees. 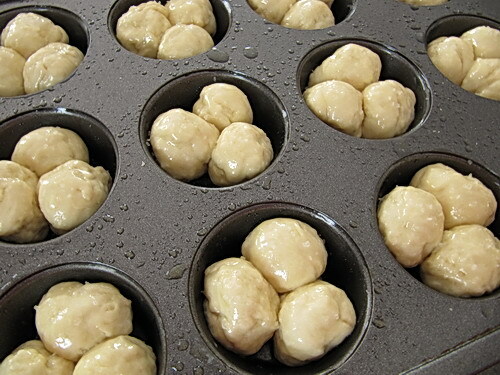 Prepare 12 cup muffin pan with your favorite method - Pam, olive oil, etc. Set aside. When dough has roughly doubled in size, punch down and fold over a few times. Begin pulling off small chunks, aproximately 1 inch around. 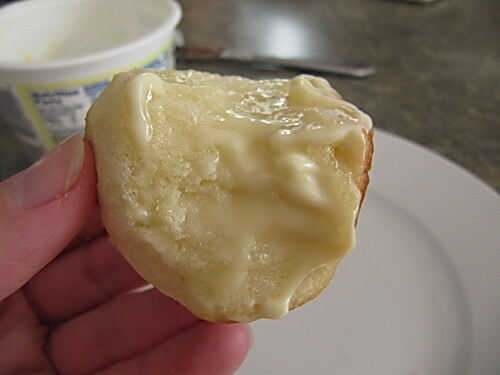 Gently roll and place in one muffin cup. Continue process filling each cup with 3 balls of dough. Generously brush all exposed dough with melted butter and sprinkle with course salt. Bake for 12-15 minutes or until the tops are just turning golden. Immediately transfer to a cooling rack or basket. Serve warm. love that last photo… I love a roll with butter when the butter to roll ratio is just about equal. I haven’t made homemade rolls in way too long. 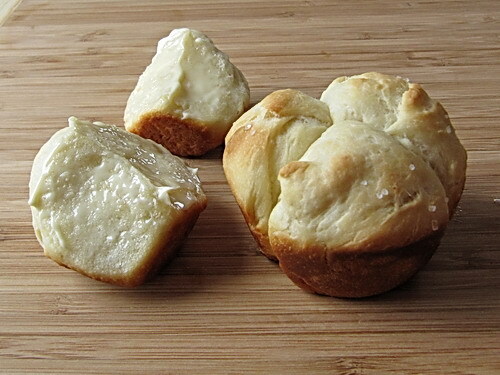 I’ve never tried clover rolls, I’ll do that next time. Yours turned out beautifully! 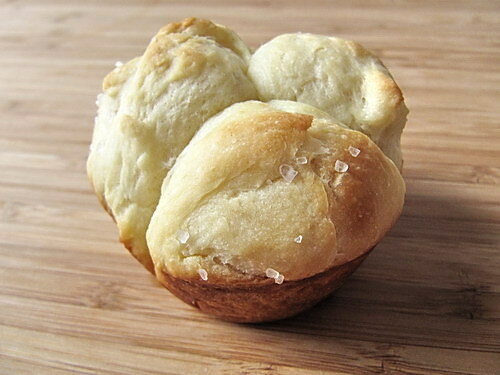 These rolls look wonderful & I love the coarse salt sprinkled on the top. Those rolls really look so buttery and delicious, no wonder they are a tradition! These look so delicious. As I was reading the post I had to wipe away a bit of drool, seriously! I didn’t really know how you created that tear-apart effect before so I have learned something new today! I’m going to have to experiment with something like this at some point. Soft, warm, buttery, and delicious! I love rolls. 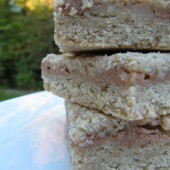 These look great, I’ll be sure to try this recipe when eventually make some. From a fellow blogger…I thought you might appreciate this. My other half, who knows nothing much about searching the Internet, decided to do a search for clover leaf rolls for his father…like the ones his grandfather used to make. So, his father comes in and my other half says, dad…here’s that recipe. Pa says to me…you’ll have to print this out for me. I asked what it was…he says, Rachael Ray’s recipe for clover leaf rolls. 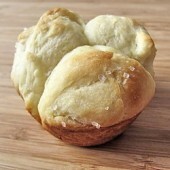 So…here I am… sitting at my computer and do a search for RR’s clover leaf rolls and didn’t come up with a result. I was getting frustrated as this is who they insisted the recipe is by. I finally said, spell out the web address. I type it in my browser and was brought to your blog. As they both see it pulled up on my screen, they’re are yelling, “Yes, that’s it…right there.” I said, you are on a blog, a food blog. Then Pa says, what’s a blog? I tried to explain to him (he’s nearing 70yrs), for the umpteenth time, what a blog was…oh..okay. Anyway, you have made one man very happy today. 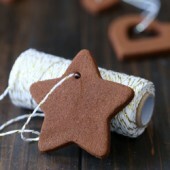 I imagine he will go home to try to make these tonight…that’s just the way he is when he wants to make something :-). Making them right now-the house smells so good.